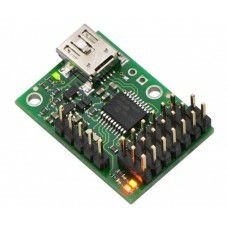 Note: The 1061_1B is identical to the 1061_1, except that you have the option of whether you want to.. 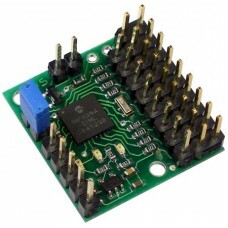 Note: The 1062_1B is identical to the 1062_1, except that you have the option of whether you want to.. 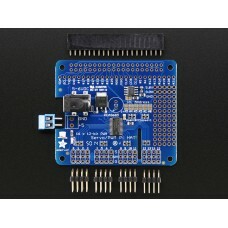 Note: The 1064_1B is identical to the 1064_1, except that you have the option of whether you want to.. 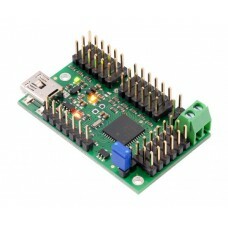 Note: This revision of the 1065 comes with a built-in heatsink for the driver chip to prevent it fro.. 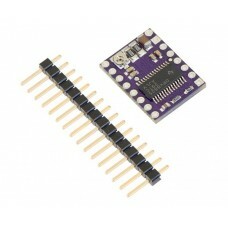 Note: The 1066_1B is identical to the 1066_1, except that you have the option of whether you want to.. 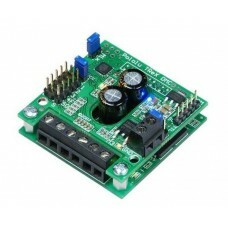 Note: The 1067_0B is identical to the 1067_0, except that you have the option of whether you want to.. 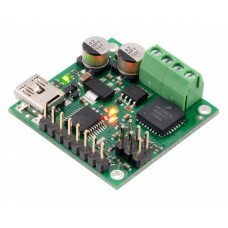 The 18-channel Mini Maestro 18 raises the performance bar for serial servo controllers with featur.. 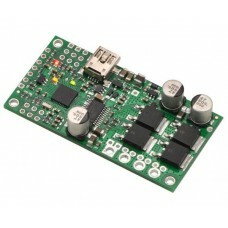 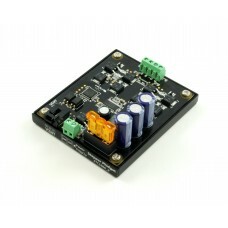 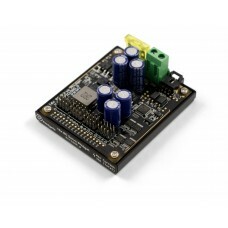 The Pololu Simple High-Power Motor Controller makes basic control of brushed DC motors easy, with .. 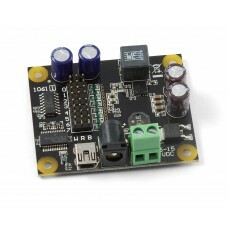 The Jrk 21v3 motor controller is a highly configurable brushed DC motor controller that supports f..
At only 0.91" x 0.91", the Pololu micro serial servo controller is the smallest serial servo contr..
DescriptionThe Raspberry Pi is a wonderful little computer, but one thing it isn't very good at is..
Overview The TB6612FNG (308k pdf) is a great dual motor driver that is perfect for interfacing two .. 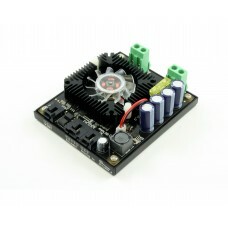 This lower-power, smaller, and lower-cost version of the TReX is the ultimate general-purpose moto.. 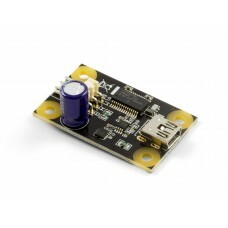 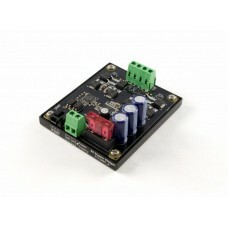 The TReX blends RC, analog, and serial inputs for a powerful motor control solution capable of del.. 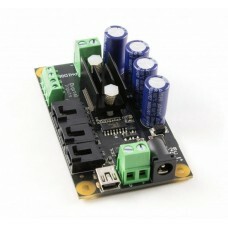 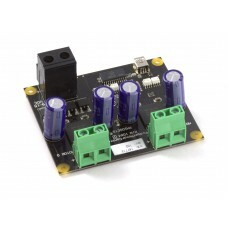 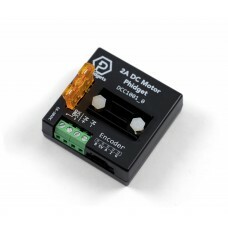 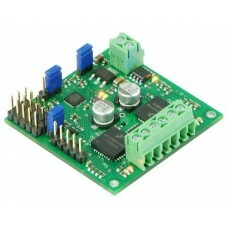 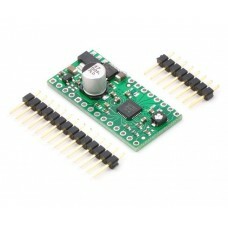 This DC Motor Phidget attaches to your VINT hub and controls the direction and voltage of one DC m.. 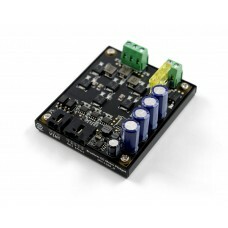 The DCC1001 gives you complete control of one medium sized DC motor from one of the ports on your VI..
Brushless DC motors have several advantages over their brushed counterparts: They have longer life.. 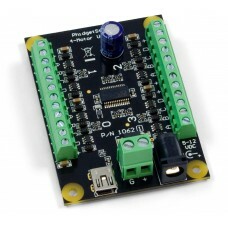 Perfect for robotics projects, this impressive Servo Phidget can control up to 16 RC servo motors ..
Get moving with this powerful Bipolar Stepper Phidget. 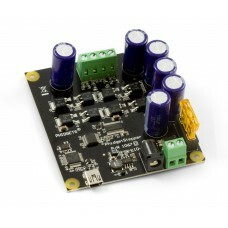 With a maximum power supply of 30V, it can ..